Listen to our weekly show !! CARDINAL COUPLE RADIO'S LATEST BROADCAST IS UP AND RUNNING IN THE ARCHIVED FACEBOOK LIVE. 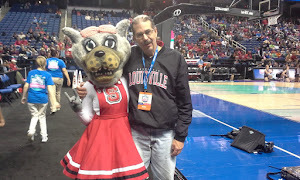 We are all about the joy and excitement of UofL women's sports from a fan's perspective! 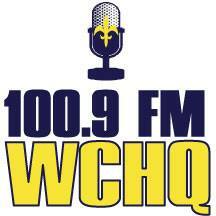 CLICK THE WCHQ LOGO TO SEE and HEAR OUR LATEST BROADCAST On FACEBOOK!! 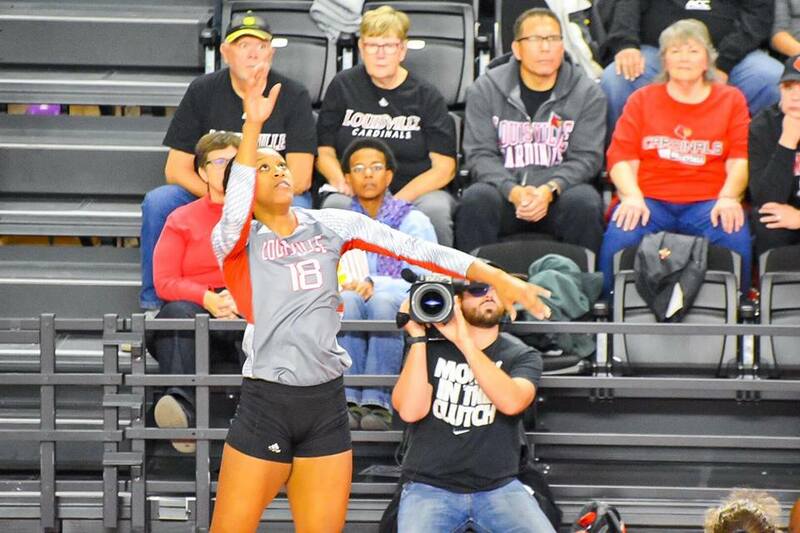 In their second straight game without the services of Melanie McHenry, Louisville Volleyball suffered a four set loss to FSU Sunday in Cardinal Arena 25-27, 16-25, 25-21, 23-25. The Speedway, IN. 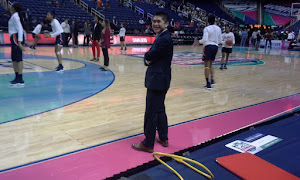 junior appeared to have damaged a knee in warm-ups, according to witness, including our own Jeff McAdams and Jared Anderson, and was helped off the court...unable to put any weight on her leg. She was kept in the training room for the match. 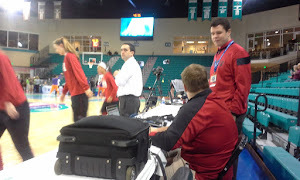 No official word on the extent of McHenry's injury yet by UofL Volleyball. Without her, in the "next one up" philosophy, freshman Claire Chaussee and senior Amanda Green tried to replace McHenry and recorded a total of 38 kills, but the Cards could not overcome the powerful net double-blocks by the Noles nor the 28 kills from Payton Caffrey. 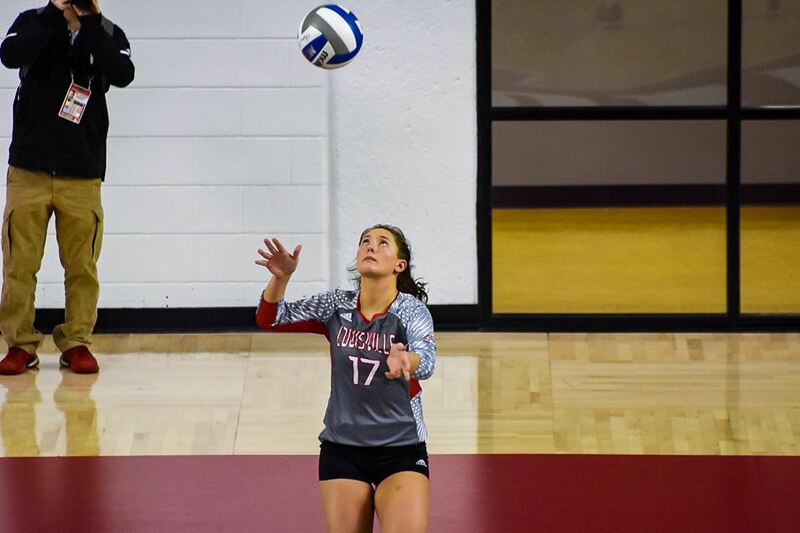 FSU hit .304 for the match...the Cards produced a .224 average and had 25 errors, compared to FSU's 15. The Cards had their chances. 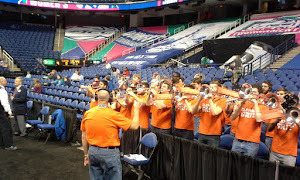 They engaged FSU in an "extra set action" in the first game before falling 27-25. 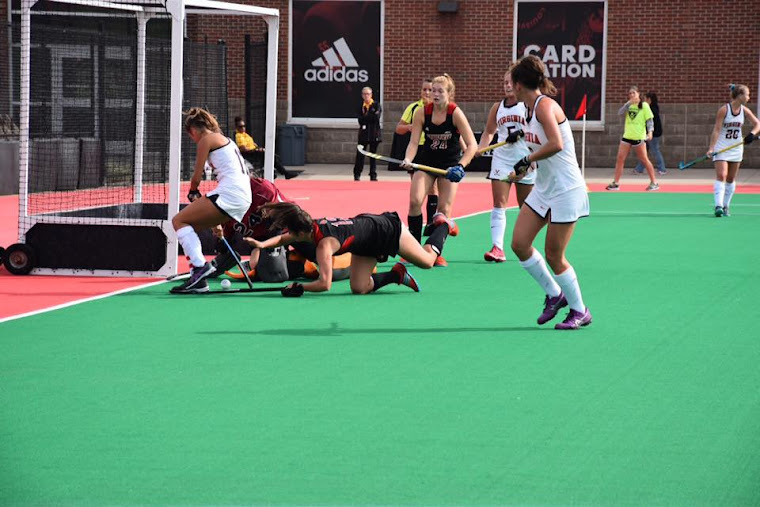 UofL rallied back from an early 5-1 deficit to hang within two against Florida State but could not catch and pass the Noles. Louisville fell victim to the strong FSU attack in set two, falling behind 4-0 early. Unlike the first game, the Cards could not roar back into contention and hit only .172 in the set. After the break, the Cards came out renewed and took the fight to the visitors. 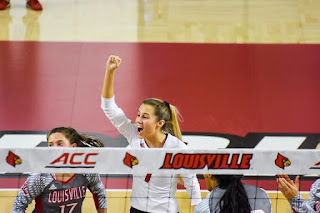 The Cards jumped out to a 5-2 advantage, weathered a Florida State run that cut the advantage to 11-10 and got eight kills from Green to win the third set by four at 25-21. 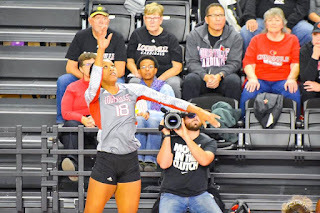 Louisville looked to be in position to even the match at 2-2 with a spirited effort that had the squads tied at 15-15. 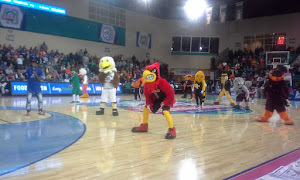 The Noles took control from there, though, and went on a 6-1 run that Louisville could not overcome. UofL made it close, climbing to within one at the end, but FSU took game, set and match 25-23. The loss of McHenry had to play havoc with the Cards emotionally and mentally. McHenry, who is the Cards attack leader on the season with 311 kills, has 56 more than her closest competition, Green, who has 255. The play of Chaussee, Green and freshman Piper Roe off the bench was encouraging, but, in the end...it was not enough to bring the Cards a victory over FSU, who takes over second place in the ACC standings with a 16-8, 12-2 record. Louisville is 2-3 in their last five matches. Dani Busboom Kelly's Cards (18-7, 11-3) return to action on Friday when they travel to Chestnut Hill, MA to face the Boston College Eagles. As I watched the NCAA Field Hockey Tournament Selection Show on www.ncaa.com last night, a growing sense of dread and anxiety overtook me as the pairings were announced. And, as the field of 20 was revealed, the Cards never heard their name called in the pairings. First, why 18 schools? Couldn't a more reasonable number of 24 or even 32 be selected? With 10 automatic conference qualifiers included in the mix, that leaves eight "at-large" school berths. Next, the ACC got a total of just four schools (out of the seven that participate in ACC Field Hockey) in the tournament. 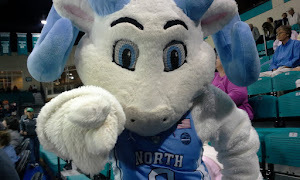 #1 seeded UNC was a "lock", with the ACC titles. Duke (who beat the Cards in the regular season) got in. I can see Wake Forest getting inclusion as well...they knocked the Cards out of the ACC Tournament, made it to the ACC Tournament Championship game and beat Louisville in the regular season as well. But, Virginia? Over the Cards? Wow...just, wow. 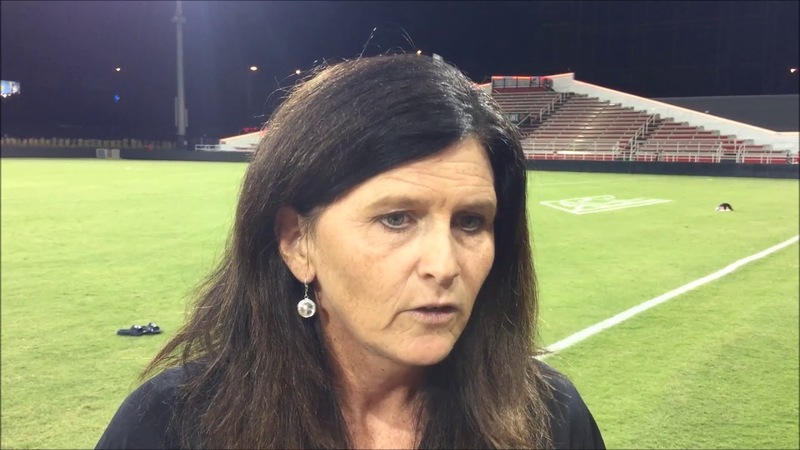 The Cards defeated Virginia at Charlottesville 2-0 during the regular season. The Cavs were 9-9 on the season and 2-4 in ACC Conference play. They were swooped by UNC 5-1 in the ACC Field Hockey Championship quarters. 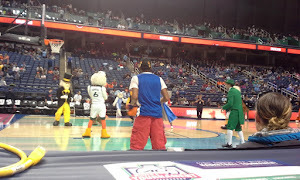 Still, they get the nod as the fourth ACC school. Someone explain this to me. It's non-nonsensical, surprising and very disappointing. Yes, Virginia did down Maryland late in the season and they did advance one game further than the Cards in the ACC Tournament but taking 9-9 over 12-6 is purely b.s. Against the eight schools who got the "at large" bids...the Cards were 1-2, all conference foes, with losses to Duke and Wake Forest and a win over Virginia. The other "at-large" ...Iowa, Michigan, Penn State, Rutgers (all BIG 10 schools) and Princeton did not appear on the Cards schedule. The NCAA committee seemed to view the Big 10 a stronger conference than the ACC this season, it would appear. In addition to the four "at-large" schools, Maryland will appear in the tournament as the automatic qualifier. 5-4. That's questionable, also. This isn't "sour grapes", mind you. This incredulous decision is just puzzling, head scratching and another slap to Louisville Athletics by the villains who run the NCAA in Indianapolis. 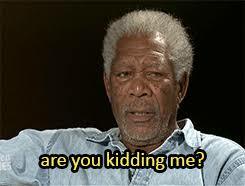 You're leaving the best goalkeeper in the world out of the tournament? Yeah, that's a great idea. One could point to the Cards less than spectacular close-out of the season. They did lose at Albany (who is the America East Conference automatic qualifier) before beating Kent State to close out the season. 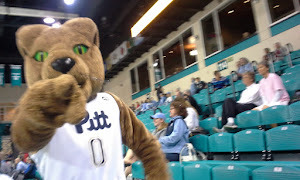 Then, the loss...as a #3 seed to #6 seed Wake in the ACC Tournament. But, know this. Virginia got the Cards spot...with a worse record overall and in conference and a regular season loss to Louisville. Explain that to me. 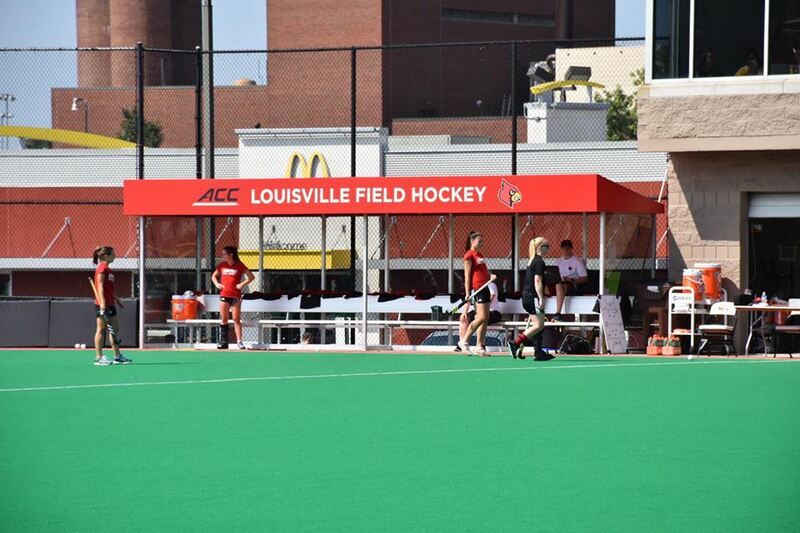 Oh, by the way, the NCAA Field Hockey DI Championships will be held in Louisville again this year. (Nov 16-18) Great idea, decision committee...excluding the host school from a chance of getting there and potentially boosting the attendance. The Cards have a strong resume with a 12-6, 6-4 record. They are receiving votes in the weekly top 25 rankings and are #47 in the RPI rankings. 64 teams (a reasonable number) receive invites to the tournament. 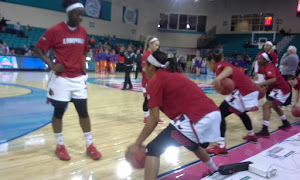 Louisville lost their final two games of the year (to Virginia Tech and Virginia) and finished in a tie for fifth place (with Clemson) in the final ACC standings. 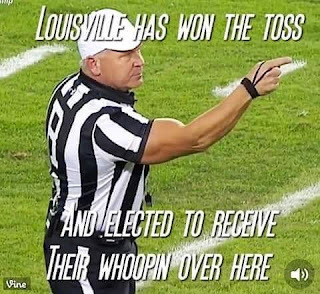 We think the Cards are "in" here at Cardinal Couple, but, knowing the NCAA...anything is possible and they could strike another blow to Louisville Athletics again this afternoon. 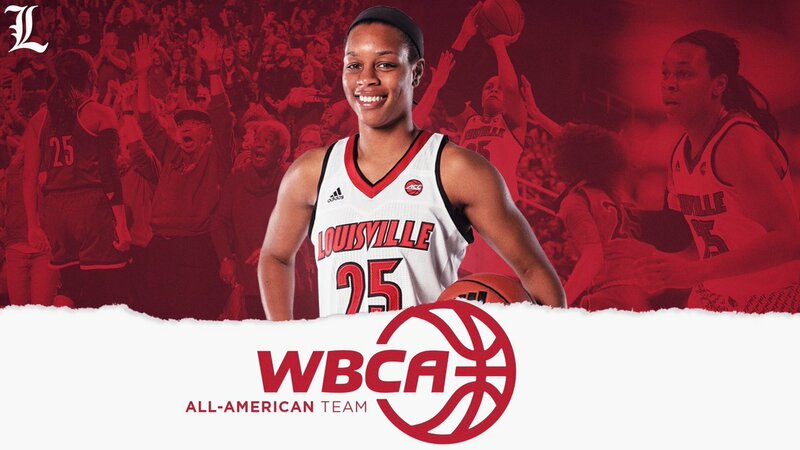 The Louisville WBB squad starts the regular season Tuesday night in Bowling Green, KY against WKU. We'll have a full preview of that in the Tuesday Cardinal Couple. For now, know that it's being shown on ESPN Plus, which means you gotta buy a subscription to watch it. 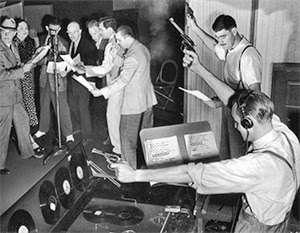 We recommend listening to the radio all of Nick Curran and A.J. on 790 AM. WKRD. Or driving to Bowling Green. It's not that far away, you know. You're going to like it. It's ultra cool, just like the player. We're not going to belabor the loss to Clemson that much. Regular reader Curtis Franklin made the journey and was treated like a king by another regular reader (Arthur) for the tailgating and such. Tough times, yes....for the Footballin' Cards. Lots of questions about coaching, players and the like. 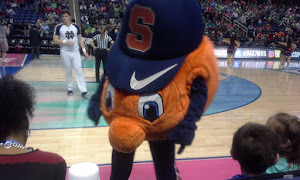 None to be settled until after the season, but, with Syracuse, NC State and Kentucky left...one has to wonder how competitive any of these last three will be? 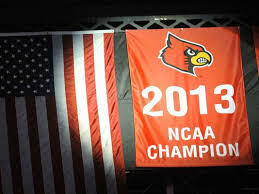 Football has endured tough times before here at Louisville. I remember the days when you could stop at a local "convenience" store and just pick up passes that would get you in free to home games. When the athletic department considered dropping out of DI Football. The Cooper and Kragthorpe years. Hang in there, Cardinal Football fans. I couldn't resist putting the picture here. I'm not going to take a lot of time today with our daily requests for you to help us out in this November Donation month. I'm just going to lay it out there. I've dug deeply into our own pockets (me and Sonya) for the last 12 years to make Cardinal Couple financially solvent as a non-profit. I am not a rich guy. 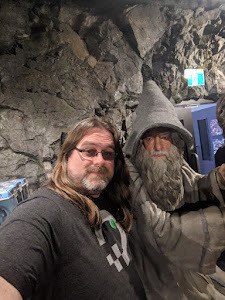 I was encouraged by our 2018 donation results. I spent less out-of-pocket in 2018 than any previous year. I hope for the best this drive. I appreciate all the support and sponsors we've received over the past 12 years. I am not going to further damage my financial status in 2019, though. I'm retired. Money is tight. Sonya wants to retire, also. She and I are getting old, and some days, quite tired. You tell us, are me and the boys doing something here that you want to see continue? I would appreciate your help for the site...if you believe we are worthy. That's great FB pic, Paulie. Stunned like you that FH didn't get in. Oh, and I am gladly and proudly sending my check today, Paulie. I couldn't imagine not having this site to read daily. 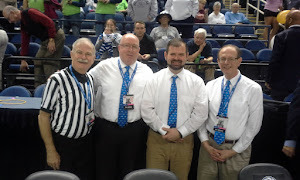 You guys are the heart and soul of women's sports at UofL and I appreciate ALL you, Case Jeff, Jared and Sonya do. Love the guests you bring on the radio and I hope everyone else does, too. Readers, send the Cardinal Couple crew a donation. They are always here for you. Be there for them. We couldn't imagine not having your comments to read daily. Hey, ho! Dave O here! 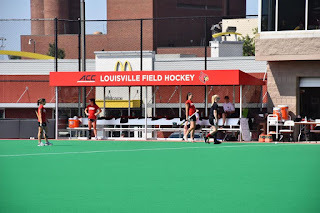 I, too, am utterly surprised by the NCAA Field Hockey's decision to exclude Louisville from the NCAA Tournament. 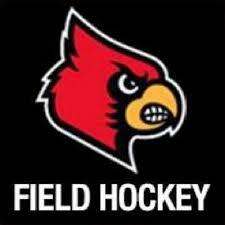 I seem to remember about 80 schools that participate in DI Field Hockey. So, the ratio is about 4-1 in teams of schools participating to schools receiving bids. 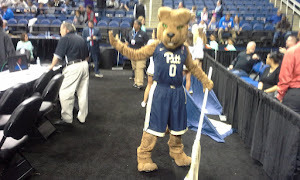 For comparison sake: The NCAA has 335 schools playing DI women's basketball. And 64 get bids to the tournament, or, roughly 19%. It would be quite easy to create a 28 team tournament. Have "play-in" games, (2) per region, to see who advances to the round of sixteen and seed the winners of these "play-in" games against the #1 and #2 seeds in each of the four brackets. It's not rocket science, planners. Call me, if you need me to walk you through it. We could do lunch and maybe a round of golf (at your expense, of course). 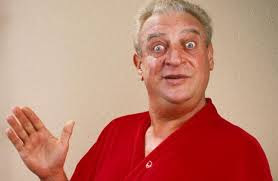 The NCAA, in their unspectacular vision, Three Stooges approach to formatting and incredible lack of knowledge about how to re-grow a sport that is losing ground to lacrosse -- still prefers to stick their collective "heads in the sand" and shout out "All is well!". Incompetency, coupled with archaic governing committee members and apathetic organizational stuffed shirts makes for very questionable "bedfellows". 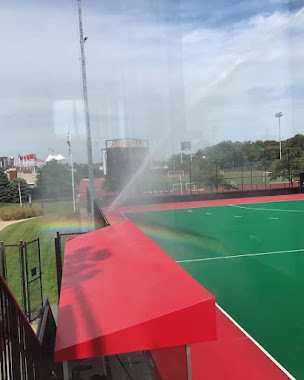 In the terms of overused axioms, with an addendum, it's time for the NCAA Field Hockey gurus to "take a long walk off a short pier". We can only hope that there are sharks circling in the water at the end of the walk. Ding, ding, ding, ding! We have a winner for comment of the day! Please leave your comments here. We ask you be respectful of other posts, no matter how ridiculous they may seem to you. After all, it is CARDINAL COUPLE. Any attempts to advertise a product or other website here in the comments section without the prior consent of CARDINAL COUPLE will result in a bill rendered for advertising services and possible legal action. We're serious. No more bots. We are pleased to announce that WISSING WEALTH MANAGEMENT continues as a 2019 Corporate Underwriting Sponsor. Martin Wissing offers investment advice and more. Contact Marty for a free financial evaluation. For more information, click the logo to go directly to the WISSING WEALTH MANAGEMENT website. 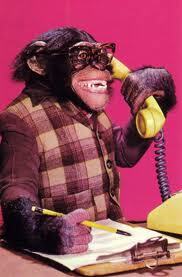 I've discontinued HANDICAPPING HEROES and started PAULIE'S PICK for horse racing analysis and commentary. GIve it a read. Click the pic to get there. 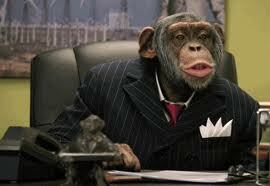 "I tell ya..I get no respect. 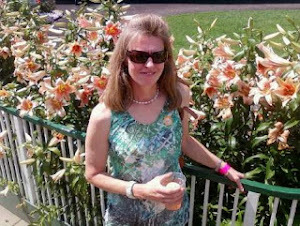 It's so bad that when I was at the race track the horses refused to run until I left the premises." We'll NEVER remove this banner from this site. Our Saturday Radio Show... The Cardinal Couple Radio Hour is back on Facebook Live. 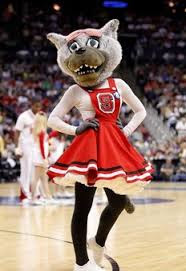 Join us weekly for our hour long foray into the joy and excitement of UofL women's sports and other assorted nonsense. Saturdays 11 a.m.On WCHQFM 100.9. Listen online at www.wchqfm.com Download the WCHQ app. Click the pic to see/hear the show and any of our archived broadcasts! Paulie is your co-owner and managing editor. He also likes banana milkshakes, his musical tastes range from Dan Fogelberg to Great Van Fleet and he excels at confusing people on Twitter and asking Jeff Walz puzzling questions...when he's not busy contemplating life and how much more time he has left. Trying to find long-shots in cheap claimer races is one of his past-times,. 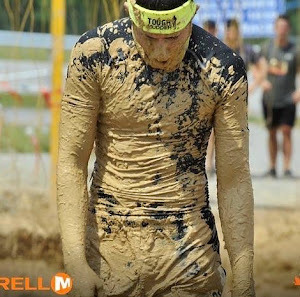 Recently retired from the advertising industry, Paulie spends a lot of his waking hours searching for his cell phone, car keys and Sonya, Dreaming while awake and wondering what day it is are daily occurrences.. Not likely to be seen running a marathon. Known as "the Landlord". 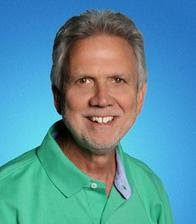 Jeff "Worldwide" McAdams writes a couple of days a week and is well-known for his snark on radio and love of Volleyball. (he knows he's the brains of the operation...) He secretly wishes he has on a rocket to Mars. With good coffee.. Jeff's been with us the longest out of our writers (beside founder Paulie) and all that proves is that he's slow to change and knows he has a superior I.T. background than us and we desperately need him to explain "technology" to Paulie. You like Volleyball? He knows Volleyball. More than your average bear. .
Case Hoskins writes here and does radio for us when he isn't busy getting muddy, field dressing deer.or saying "Yes, dear" to lovely Lindsay his wife.. During the day he helps blueprint and design better mouse-traps or fancy-smancy buildings. Another one of them engineer types. 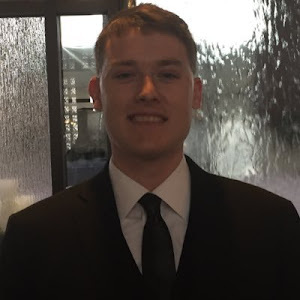 Known for his love of the Seattle Seahawks and dislike of games that end in ties...he adds a dissenting voice of reason, intelligence and rationality to THE CARDINAL COUPLE RADIO HOUR. ( Or so he thinks...) Truth told, he's probably the smartest one of this bunch of hoodlums, outlaws and ne'er do wells...but don't tell him that. We already can't afford him and we don't pay him anything as it is. Free to a good home that will give him a bath, something to argue about and some Rice-a-roni. Jared Anderson is one of our favorite writers and does radio also when he's not busy turning twenties into fives and tens. We look forward to his expertise on several sports on these pages and when he takes on the Field Hockey water cannons. He also serves as CARDINAL COUPLE'S quasi-official photographer...an extension of his business Jared Anderson Photography. 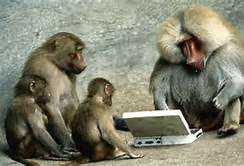 He's also heavily involved at River City Cards and we share him that informative UofL fan site. Follow him there also. Be careful, he might follow you home...but give him a hot meal and warm blanket, internet access and a corner to sleep in if he does...and he'll be fine and unobtrusive, unless you give him picture-taking capabilities.. Enrolled in the Worldwide School of Snark, a whole new frontier of sassiness and argumentative discourse toward Paulie has been opened up to him. 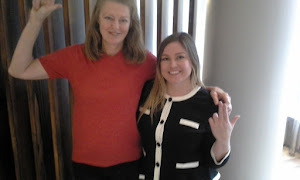 The other co-owner and voice of reason....the lovely Sonja...who makes sure the Cardinal Couple numbers are right and the books are accurate. Easiest job around...no one ever donates and we don't spend what we ain't got. She also sneaks over to cardinalsports.com and leaves comments. An avid fan of native gardening, hiking and Gatlinburg....she loves german potato pancakes and Led Zeppelin. 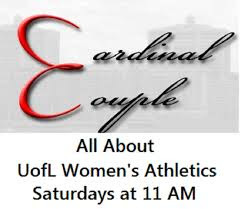 Did you miss the latest installment of THE CARDINAL COUPLE RADIO HOUR on WCHQ 100.9 FM? Fear not mon frere! It's archived. Click the picture to listen live...watch us...maybe learn something...and hear our archived broadcasts. Well, what are you still doing here? Go! Listen to the show! Local. Good stuff. Click the pic and give us a listen... We air Saturdays at 11 a.m. It's OK...everyone else does. You can too! You'll receive a prompt reply from one of the staff champs after we print out your missive, cover it in banana pudding and Bill the Goat eats it !! Other sites we recommend you visit. (UofL sites marked with ***) Click on the name and away you go! Much like Leroy Jethro Gibbs of NCIS fame and his rules...Coach Jeff Walz has established several theorems on college basketball. THEORY I: Three is better than two. THEORY II: One and one = two. THEORY III: If you are open, there's a reason for that. THEORY IIII: Shooters are good, but I prefer makers. THEORY V: If winning or losing isn't important, why keep score? THEORY VI -- 4 for 20 is an improvement over 2 for 20.. THEORY VII - 1 for 2...followed by 2 for 2 is better than 2 for 2. 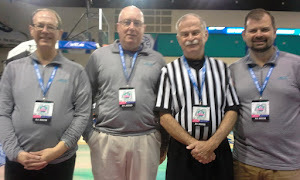 THEORY VIII - Free throws should be shot from three-point range and you should be allowed to throw the prospective shooter the ball from the bench. THEORY IX -- It's hard to score when you throw the ball to the other team and I haven't convinced our kids yet that it's impossible. THEORY X: When you're wearing white, it's a good idea to throw the ball to someone else also dressed in white.. THEORY XI. The main key to beating an opponent is scoring more points than them. THEORY XII: "I think we're a better offensive team when we have the ball". "We're trying to become a regional power in a global economy. That's like entering a banana in the Kentucky Derby." Our customer service representatives at the Cardinal Couple Worldwide Enterprises Call and Fulfillment Center ( A division of Don Paulie Enterprises and Bud Goode Marketing) promise not to leave you "on hold" for more than a minute. (They usually hang up on you within 45 seconds). Call (502) 239-8835 with any questions, tips, scoops, comments, complaints or if you just want to talk. 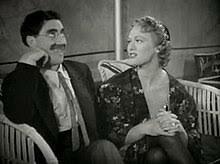 The brilliant Groucho Marx at his finest on his TV show "You Bet Your Life" from the fifties. Enjoy the spontaneous improvisation by clicking his image! 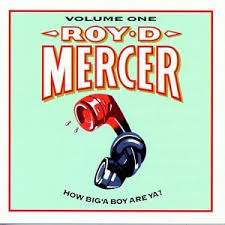 How Big A Boy Are ya? 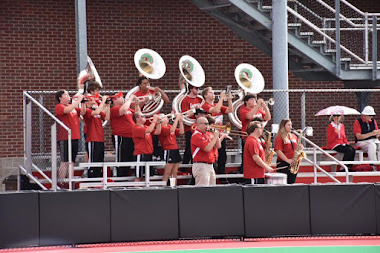 It's the band, man...the band !! 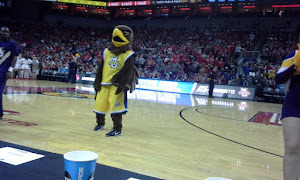 Marquette Eagle doing something for us. Mind if I watch u dribble? C'mon...bring it up court. 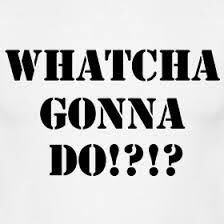 We dare u! Louie at the top of the zone press! 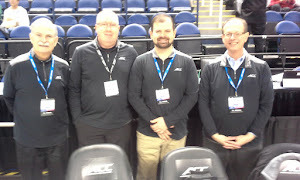 Our guys will be representing again at the 2019 ACC WBB tournament in Greensboro !!!! Any monies received via Pay-Pal or donation go solely to the defrayment of expenses incurred to keep the website and radio show in business. WE draw no salary. Corporate sponsorships are available at low, low rates. Yeah, WE'RE broke most of the time. It happens. "Don't look back..they may be gaining on you." WE are a lot of information and fun, though...and WE invite you to join us for daily update. No fees, no registration, no tracking or cookies (although WE like Macadamia Nut ones). WE'LL never "spam" you but we'd be glad to sit down and have a spam sandwich with you. As long as you're buying. What you'll find here are observations and comments on UofL women's sports with occasional other topics, sidebars, diversions and the wackiness that WE'RE known for. The Surgeon General (or maybe he's just a Private) recommends 2 daily doses of CARDINAL COUPLE for better overall health and happiness. WE'RE smiling, how about you? CARDINAL COUPLE uses photos from all sources in the daily columns that we present to you. If we've used a photo you have taken and want published credit it for it...just contact us and we'll be glad to do so. Shoot, we might even write a feature article about you and call your Mom and tell her what a good son or daughter you are. WE avoid pictures that may be subject to copywrite. Our legal advisors are busy enough chasing ambulances and wheelchairs when they're not trying to figure out trifecta plays at Churchill. Some of the photos are actually taken by the staff of CARDINAL COUPLE. 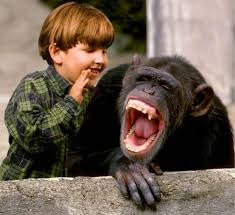 (When we can get the camera away from the chimps). Paul uses his cell phone to take pictures, too. You have been warned. Please realize that the captions that go with the photos are sometimes parodies. It's up to you to figure out which ones are and aren't. We can't spoon feed everything to you, you know... Congratulations if you made it this far in your reading! We know...reading stuff like this can be pretty boring but WE have to put it on the site somewhere so that we can say..."hey, there is disclaimer on the site" in case some bozo decides that they want to sue us or something. Like we have any money. We're so poor we can't even pay attention. We even owe bums money. 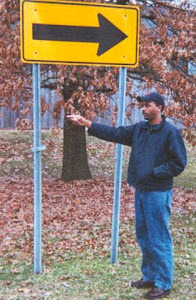 I was walking down this road once years ago and I saw this guy chopping down a tree. It was hot, the guy was really sweating and I stopped to watch a while. He finally took a break, cracked a can of beer and then asked me if I had a gun. I hesitated before answering but finally told him that I didn't. He said: "That's a darn shame. I'm cutting down this tree because it's my neighbor's and I'm really pissed off at him right now. I was going to just shoot his sorry a$$..but I decided to do this instead. I'm having second thoughts...though." Somtimes, there just aren't enough trees... (I've never chose that particular walking route since..) .